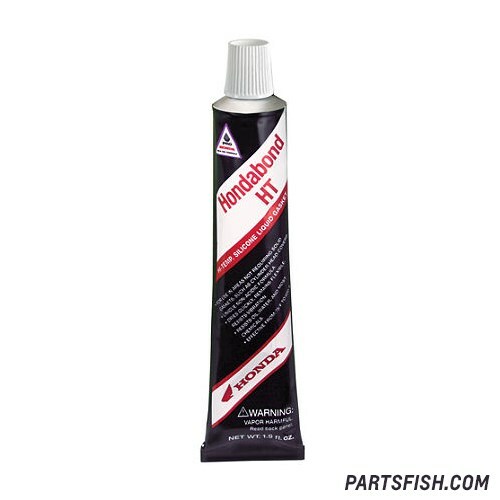 Pro Honda Hondabond HT High Tempature is for use in applications not requiring solid gaskets. Unique formula is non-acidic and won't corrode aluminum like other silicone gasket products will. Pro Honda Oils and Chemicals are developed through the most severe test of performance and durability - professional racing. Honda builds its products to the toughest engineering standards in the world. Pro Honda formulates its oils and chemicals to those same demanding standards to keep your Honda running at its maximum performance. They're the very best motorcycle-specific products you can buy. This item is considered hazardous material. Orders containing this product will ship ground only and cannot be shipped to Alaska, Hawaii, or US Territories.